A primary concern for air operators, airport authorities, and air traffic control is maintaining safe aeroplane operations during all types of weather conditions. This is important for the passengers we collectively serve, since there is an ever-increasing expectation that weather should not disrupt our travelling plans. Whilst this is progressively more achievable with modern technology and procedures, we must also learn from lessons of the past. The Clean Aircraft Concept came to be from many lessons over the years that help us continue to operate safely when faced with a little inclement weather! The effects of ice on an aeroplane are wide-ranging, unpredictable, and potentially extremely hazardous. All aeroplanes are designed to fly ‘clean’. Crucially, take-off performance is based upon clean aeroplane surfaces and the predictable effects of airflow over clean wings. When an aircraft is parked at a gate for even a short period of time, common winter-related environmental conditions can lead to the build-up of ice and snow on wings, the fuselage, engine nacelles, control surfaces and so on, with potentially hazardous consequences. Wind tunnel and flight tests demonstrate that ice, frost or snow formations on the leading edge and upper surface of a wing can reduce wing lift by as much as 30 per cent and increase drag by up to 40 per cent (dependent on aerofoil shape, contaminant thickness, surface roughness, etc.). These kinds of contamination will significantly alter aeroplane flight dynamics, with increased weight, increased stall speed, and reduced stability and control, with potentially severe roll problems caused by uneven lift across the wings, or abnormal pitch characteristics during take-off rotation and initial climb. Ice that forms on pitot tubes and static ports or on the angle of attack vanes may give false airspeed, angle of attack and engine power information for air data systems. 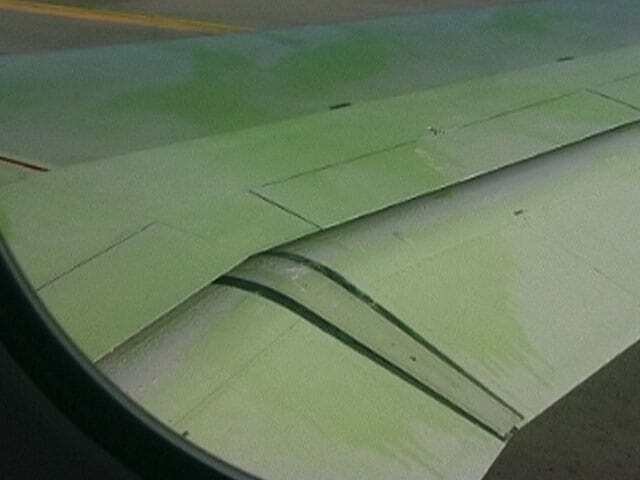 Ice may also break free during take-off and be ingested by engines, causing damage to fan and compressor blades. A review of historical aeroplane accidents in the air transportation industry reveals that a substantial number of accidents are related to winter operations, with frost, snow or ice adhering to critical surfaces of the aeroplane before take-off. The cause of the Air Florida Flight 90 accident in January 1982 where a Boeing 737 crashed into the Potomac River after departing from Washington National Airport, was directly attributed to improper de-icing procedures on the ground that led to insufficient lift and significant handling difficulties during take-off. This was also the case for the USAir Flight 405 accident from LaGuardia Airport in March 1992, and the Air Ontario Flight 1363 accident from Dryden Regional Airport in March 1989, both of which involved Fokker F28 aircraft. Over the years, it became increasingly evident that take-off was not be attempted unless there was assurance that all critical surfaces of the aeroplane and all instrument probes are free of adhering snow, frost or other ice formations. This vital requirement is known as the “clean aircraft concept (CAC)”. An aeroplane is considered to be clean when all surfaces are completely clean – that is, free of frozen contaminants, or when surfaces are protected by de-icing/anti-icing fluid and the surface aerodynamic characteristics are unaffected. As early as 1950, some States had established regulations prohibiting take-off for aeroplanes with frost, snow or ice adhering to the wings, propellers or control surfaces of the aeroplane. As recognition grew that safe winter operations required special coordinated procedures by airline maintenance, engineering, flight, and de-icing personnel, a need for formally developed regulations and procedures directed towards all segments of aviation was identified. New ICAO provisions related to the de-icing/anti-icing of aircraft on the ground were introduced to Annex 6: Operation of Aircraft in 1998, with supporting guidance material published in the first edition of the Manual of Aircraft Ground De-Icing/Anti-Icing Operations (Doc 9640). So how does this impact day to day operations? If you have ever taken a flight in the middle of winter, you may well have experienced a de-icing/anti-icing procedure for yourselves, with your aircraft taxiing to a special location on the airfield, followed by a flurry of ground support vehicle activity outside your window. The process of de-icing removes accumulated frost, ice, or snow, typically through the spray-application of a special de-icing fluid. And following this, the application of an anti-icing fluid prevents the adherence of frost, ice, or snow on the surfaces for a certain period of time. In practical terms, this equates to the time it takes for the aeroplane to complete the take-off safely, preventing further accumulation on the surfaces as the aircraft taxis to the runway threshold, awaits its turn in the queue, and rolls down the runway and into the sky. So the next time you’re in a rush to get underway, consider the importance of this little detour. It might take you a little longer to get where you’re going, but this is one delay that you should be very grateful to endure! 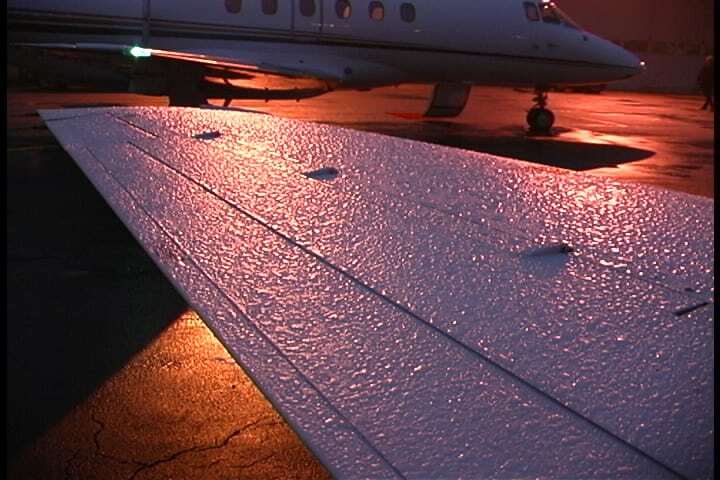 The images above were reproduced by kind permission of the National Aeronautics and Space Administration (NASA) and are found in the online training course entitled, “A Pilot’s Guide to Ground Icing”. ICAO published the Manual of Aircraft Ground De-Icing/Anti-Icing Operations (Doc 9640) to provide general guidance material and to increase the basic understanding of aeroplane ground de-icing/anti-icing operations to facilitate the development of standardized procedures for the various segments of the aviation industry. 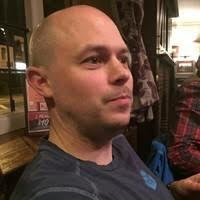 David Scorer is an Associate Technical Officer in Operational Safety in the Air Navigation Bureau of ICAO. An Aeronautical Engineer originally from the UK, he is a formally trained Flight Test Engineer (FTE) graduate of the Empire Test Pilots School (ETPS). Prior to joining ICAO, David worked as an FTE on multiple military and civil aircraft development programmes, with a focus on aircraft dynamics and handling qualities. This included key roles on the Pilatus PC-21 military jet trainer programme in Switzerland, and more recently, lead FTE for the first Bombardier C-Series test aircraft in Montreal.